A lot has changed in Brisbane’s premium housing market over the past decade. Once favoured suburbs have come and gone whilst others have maintained their iconic status. In 2004, there were slightly more than 360 house sales over $1 million in the Brisbane LGA. In 2014 this had almost quadrupled to over 1,250 sales. Property values have escalated despite the GFC and during 2004 the top ten suburbs yielded 53 per cent of all house sales over the magic million-dollar mark. Comparatively, 2014 has seen the top ten account for less than 40 per cent of the total sales. This clearly demonstrates that more of our top end product is spreading further through Brisbane’s suburbs. 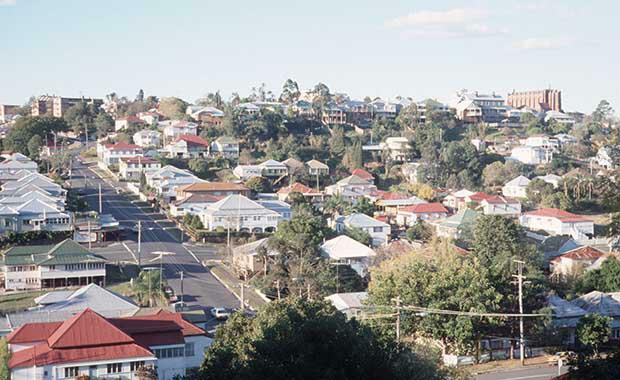 Of particular note has been the rise of both Paddington and Bulimba to share the first place position from seventh and eighth place just ten years ago. This has been accomplished due to buyer preferences for village lifestyles and authentic retail offerings. Local coffee shops, cafes and specialised boutiques have driven consumer demand. Notably, both Paddington and Bulimba are aspirational destinations that draw crowds from well outside their own suburb boundaries. New Farm has also increased its market share and placed in outright second position. It shares many of the same characteristics as both Bulimba and Paddington and continues to build a reputation as a highly sought after address. Of the top ten suburbs listed above, six of them have at least some river frontage exposure. Despite the concerns over floods, Brisbane residents love the river. It is a connection that remains difficult to break and continues to add value to many properties. The other determining factor for our list is that most of them would be considered leafy addresses. Established trees continue to add character and soften our suburbs. The value of tree-lined streets should not be under-estimated in attracting buyers and creating demand. What is particularly noticeable in the million-dollar housing market is that the median price for the past six years has literally gone nowhere. To the contrary, the post GFC slump bottomed out in the last quarter of 2011 with sales volumes making the strongest recovery since the 2005 - 2007 boom. From the first quarter of 2012 to the third quarter of 2014 (the last full data set), the volume of sales has increased by over 1 50 per cent. That is a staggering recovery in the top end housing market in terms of volumes, despite very little price creep over the previous decade. Clearly buyers are starting to see value and are responding in turn with their open wallets. So what is driving this resurgence? Quite simply it is the recovery in the ASX All Ordinaries. The graph below shows the monthly end values of the ASX All Ordinaries and the quarterly volume of sales for Brisbane’s million-dollar plus house market. High net worth individuals often have exposure to more than one asset class with the share market providing substantial uplift to their financial position. Combined with that is the general assumption that if you’re able to afford a $1 million dollar house, you are more likely in a senior position of some description. As confidence returns to the broader business community and the ASX continues to trend upwards, the million dollar housing market would appear to have some way to go yet. This will push prices higher. There are however some potential headwinds that could see this market somewhat exposed. There is genuine concern about what is occurring in the European economies combined with the impact cheaper energy is having on many resource sectors. Combined with this has been the growing geo-political tensions in the western Pacific, Middle East and Ukraine and all of a sudden the ASX could prove to be a little wobbly. Nationally and locally, increased unemployment rates and a desire to stimulate the economy further now has some sectors of the economic community suggesting a rate decrease rather than an increase is likely. So there is the potential for sales volumes in Brisbane’s top end housing to moderate should economic conditions deteriorate.